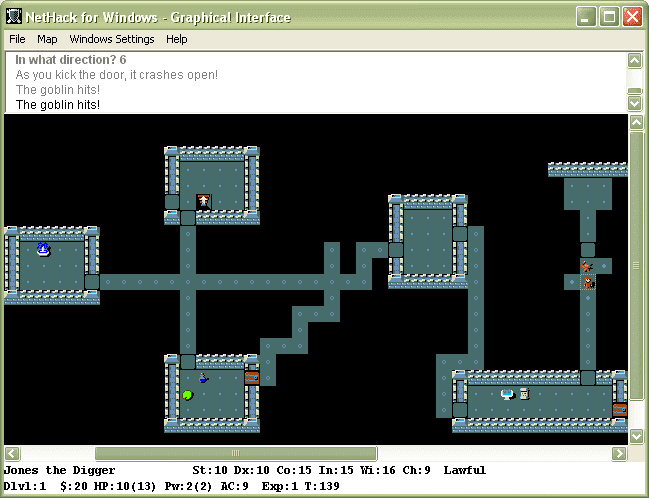 NetHack_for_Windows_Screenshot - NewRetroWave - Stay Retro! | Live The 80's Dream! An example of a tileset version. If ASCII characters don't do it for you, I hope this does.